As the IT solutions guru for 2 Circles, I have always said it is one of those products in the IT world that you can absolutely rely on. And with the recent ransomware outbreak, this has never been more true. We offer the full range of Cisco Meraki products at great prices with realistic installation and support, or you can look at our fully managed service agreements, either way you won't regret it. 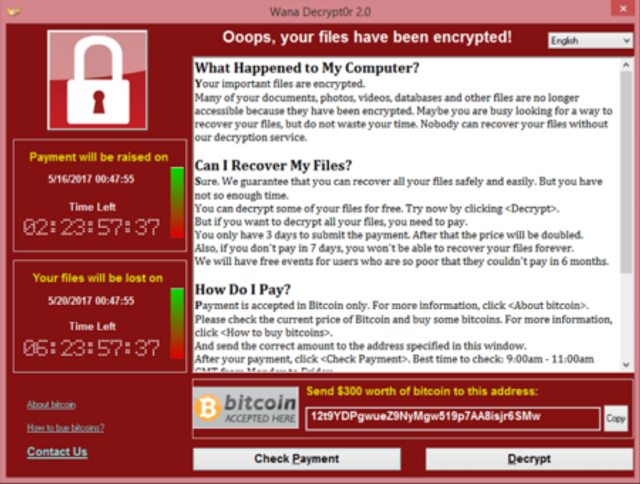 The WannaCry Ransomware outbreak started hitting the headlines around the world on May 12th. This is just the latest in a particularly pernicious type of exploit, which typically involves locking or encrypting data to render a computer unusable, and then demanding a ransom to have that encryption removed. Snort, the industry leading intrusion detection and prevention technology, which is integrated into every Meraki MX. Snort performs real-time traffic analysis and packet logging in order to identify traffic patterns that match known threats. The good news for Meraki MX customers is that if they have Intrusion Prevention enabled and set to the ‘security’ ruleset on the Threat Protection page, the signatures for WannaCry are already in place, having already been added to the Snort database.